Cover material from the 'Daily Mail' on premieres from England and Scotland was called sexist. 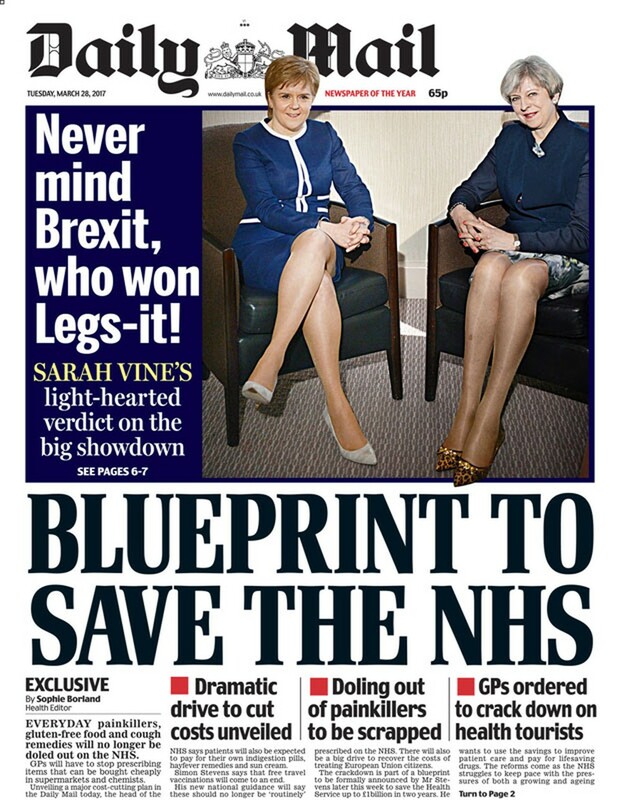 The cover of this Tuesday's edition of the British tabloid "Daily Mail," which features a photo of premiers Theresa May and Nicola Sturgeon next to the phrase "best leg contest", has been ranked on the internet as an example of "sexism imbecile." The newspaper was criticized for emphasizing the legs of the prime ministers of England and Scotland, respectively, during a talk on Brexit and a second referendum on the departure of Scotland from the United Kingdom. The cover was criticized by politicians from different parties. The Daily Mail replied, "For God's sake, they'll fix what to do!" The report, signed by journalist Sarah Vine, was part of a page dedicated to the appearance of the two leaders. The headline read "Never mind Brexit, who won Legs-it!" 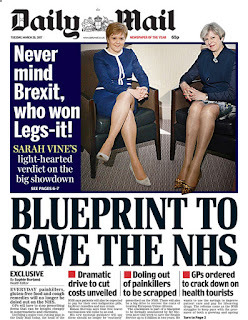 ("Forget Brexit, see who won the best pair of legs contest"), accompanied by a photo of the two women sitting during a chat in a Glasgow hotel. "There's no question that the two women believe their high heels are the best weapon in their physical arsenal," Vine said in the text.